The Federal Government is on the hunt for an external supplier to build a new ‘Global Digital Platform’ as part of a move to increase the outsourcing of Australia’s visa processing operations. In a request for expression of interest published on 22 September, the Department of Immigration and Border Protection called on suppliers to pitch on new visa delivery services, stating that the procured services would help support the Government’s priority of “strong national security”. Specifically, the procured services will be expected to help improved visa decision and assessment quality and consistency, improve user experience for clients, departmental staff and market providers, implement the new delivery arrangements as fast as possible with minimum delivery risk and facilitate the simplification of Australia’s Visa framework. “The Department is seeking innovative solutions to help design, implement and operate a new visa business based upon a sustainable and innovative service delivery model that transforms the way in which Australia interacts with visa applicants and visa holders,” the tender documents stated. 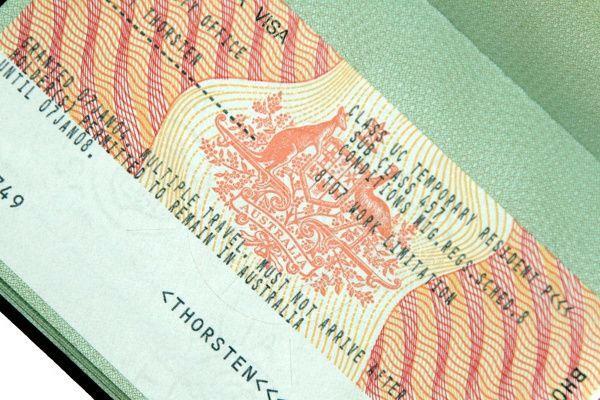 “This is a once-in-a-generation opportunity for the market to co-design Australia’s visa business to support Australia to attract travellers and migrants and meet its international obligations,” the documents said. Among the first bundle (Bundle 1) of services expected to be procured by the Government for the “transformational reform program” is a major IT component that will see the development of a so-called Global Digital Platform (GDP), which the Government said should be a “world-class digital platform”. Specifically, the proposed GDP will be expected to provide a digital interface and operational system capability for the Department’s new outsourced visa business. The proposed GDP, and the move to outsource more of the country’s visa processing operations than it already does to external suppliers comes as the Federal Government pumps $123.6 million into improving the country’s border control technology and systems. As part of this initiative, the Federal Government handed Portuguese automated border control and electronic identity solutions provider, Vision-Box, a contract worth around $22.7 million for the provision of automated processing technology for Australia’s airports. In early July, the Department of Immigration and Border Protection put an associated request out to tender, for the provision of automated processing at Australian ports. Vision-Box was among the local tech players, including Datacom, IBM, Telstra, Hewlett-Packard Australia (HPE) and Fujitsu, that attended an industry briefing about the tender process for the project on 10 July. The projects are part of the Government’s so-called “Seamless Traveller” initiative.